Imagine you are a 40-year-old woman who is one of the 1.5 million people in the U.S. with rheumatoid arthritis (RA), a chronic condition for which you take regular medication to control flares of the disease, stiffness and pain. But before you get to the pharmacy counter, early in the year you receive a painful reminder that your insurance requires you to meet a $6,000 deductible before it kicks in to help pay for your medicine. How likely is it that you will skip the treatment, ensuring more pain and increasing the potential for joint damage and disability? Is this the kind of “skin in the game” that we believe patients should bear, and do we really think it will bring down health care costs? As stakeholders and policymakers have traveled along the road to better value in health care, we may have forgotten that the end destination ought to be better patient outcomes. The start of that important journey often begins at the pharmacy counter. Nearly one in three Americans are now enrolled in high-deductible health plans (HDHPs), up from barely one in 10 at the start of this decade — dramatically changing the landscape of how people get access to care. Now millions of Americans, just like that RA patient at the counter, are paying substantial sums out of their own pockets for health care before their insurance starts to defray some of the costs. The consequences of this shift are playing out in a wide variety of ways. Most HDHPs are offered in conjunction with a health savings account (HSA). Members of the plan use the HSA to pay co-pays, deductibles and other medical expenses. The intention is that these kinds of plans have the potential to contain health care costs and engage enrollees more fully in managing their health and health care decisions. Yet in many cases, this is not working out well for the patient. In these HDHPs, patients are paying as much as $6,000 per individual (and nearly double that for a family) in deductible costs before their insurance kicks in. That is a huge bite, especially for lower-income families, and we have to begin asking ourselves whether it is achieving a positive outcome for patients and for the health care system as a whole. Deductibles and co-payments are common tools in our health care system, intended to encourage judicious use of resources. But these structures are often solely based on the cost of the medication or service, not on the value of the treatment to the consumer or patient. For patients with chronic conditions, this issue is critical. In part because of an IRS rule, high-deductible health plans linked to HSAs cannot waive the deductible for medications important for chronic conditions, as they can for preventive services. A Journal of Internal Medicine study showed that chronic care patients in an HDHP were three to four times more likely to delay or forgo care than patients in a traditional health care plan. Another study, this one in the Journal of Occupational and Environmental Medicine, found a 31% increase in medication nonadherence in an HDHP compared to a traditional preferred provider organization (PPO) plan. Putting off needed care is a problem even for those with incomes far above the national average. A National Bureau of Economic Research study found that newly enrolled HDHP members with median incomes of $125,000 to $150,000 cut back on preventive care, physician office visits and prescription drugs. The sickest members of this health plan cut back their health care use by 20%. All of these problems might explain why pharmacists are concerned about the impact of the HDHPs on their patients when they show up at the pharmacy counter. They are not the only providers who are voicing objections: in a recent Journal of the American Medical Association poll, physicians rated growth of HDHPs as their least favorite tool in the insurance arsenal. A recent Kaiser Family Foundation poll showed that 43% of insured Americans are finding it difficult to pay for deductibles, up from 34% just two years ago. Clearly, the cost barriers are impacting the ability of patients to get needed care, and it’s not clear that the higher deductibles are making any significant impact on premiums. For example, on the drugcostfacts.org website run by the Biotechnology Innovation Organization, an insurance calculator shows that increasing the annual deductible from $3,000 to $6,000 in an open PPO plan saves a family just $17 a month in premiums. Stakeholders from pharmacists to payers to pharmacy benefits managers to the biopharmaceutical industry need to work together to improve this system in two key ways. First, we need to ensure patients know how to best use their existing plans so they do not put off treatments that help avoid worse outcomes. Second, in a larger sense, structural changes are needed to make sure that patients — especially those patients with chronic conditions — have full access to high-value treatments. For example, Dr. Mark Fendrick, who heads the Center for Value-Based Insurance Design at the University of Michigan, has noted that IRS regulations could be revised to allow chronic medications to be covered outside of the deductible. Insurance plans could also be crafted in a way that supports high-value treatments. Fendrick also suggests a “dynamic” approach that aligns consumer cost-sharing with the actual clinical value for the individual patient. This would still enable lower-cost therapies for initial use when they are clinically effective and appropriate, but would also reduce the burden on patients whose providers deem it necessary to move them to a higher-line treatment if the initial therapy is ineffective. It is in everyone’s interest to give patients and providers incentives to avoid unnecessary and inappropriate care. But if we are going to move to a health care system that rewards value, we must work together to make sure that asking patients to share more of the cost aligns with care that achieves better outcomes. For if we fail, what we end up is the worst of both worlds — higher costs for all, a greater burden on families and poorer health for patients. 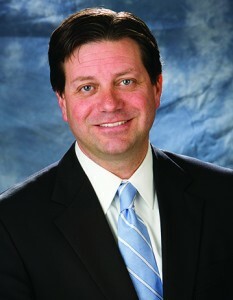 Dan Leonard is the president of the National Pharmaceutical Council. He can be contacted at dleonard@npcnow.org.